You can easily book with us 24/7! Regardless of the time, when you want to make your perfect tattoo or a piercing, we’ll be open for you! Come in all shapes and colors! 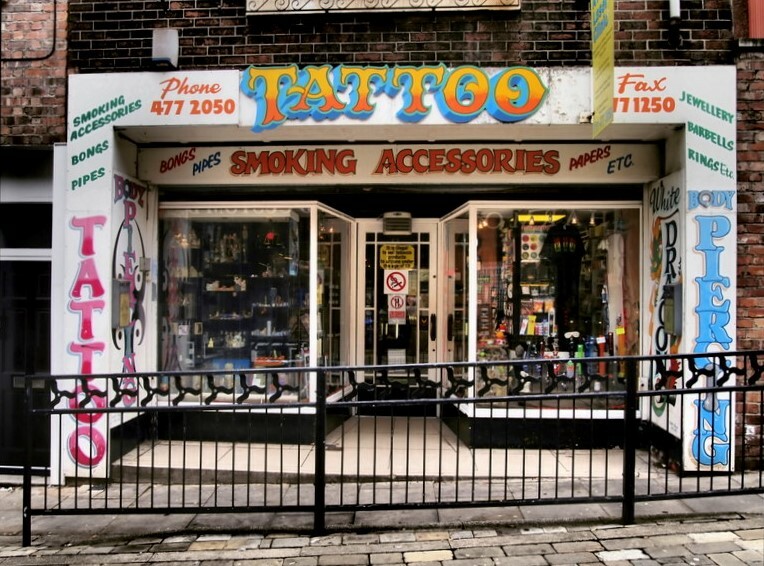 We’ve been opened as a tattoo-piercing shop since 1977. During this period of time we were able to create awesome tattoos and piercings for thousands of happy clients! All of our tattoo and piercing experts here have been professionally trained and have been working in the industry for plenty of years, gaining knowledge and expertise to create your dream tattoo! Whether you’ll show us some image that you want to replicate on your skin or ask us to draw one and confirm with you, we’ll be glad to do either of those 2 for you! Even though we are tucked away behind Merseyway Centre, we are always welcome for you to come in. We are open Mon-Sat from 9:00 am until 5:30 pm! While both our experts skills and our range of services are of the highest quality, at the same time our prices are low and unbelievably affordable at only £60 per hour! What our customers say about us on Facebook. Here are comments from individuals who have visited White Dragon. 2019 © White Dragon Tattoo Studios. All rights reserved.